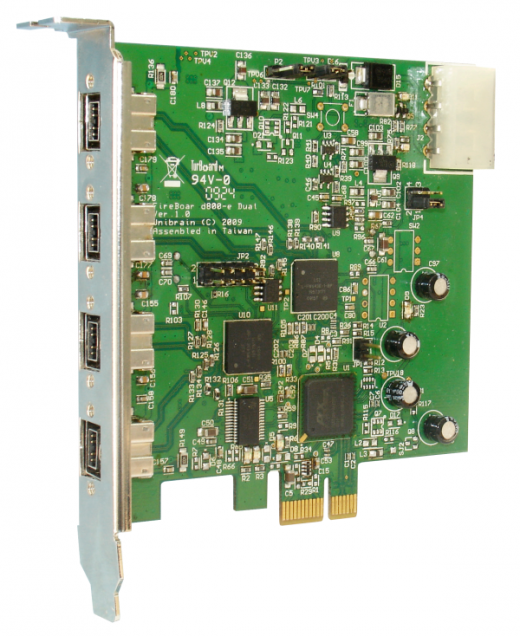 Fully supports IEEE P1394b and backwards supports 1394a-2000 as well as 1394-1995 standards. Provides dual 1394b (FireWire® 800) bilingual ports for data transfer rates up to 800Mbps. Supports data transfer rates of 100, 200, 400 and 800Mbps. 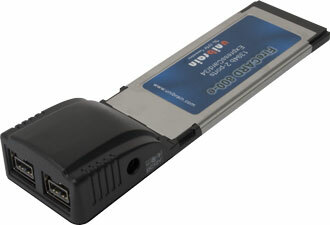 ExpressCard interface offers up to 2.5X faster than CardBus interface. Longer battery life due to move to lower voltages and superior power management. 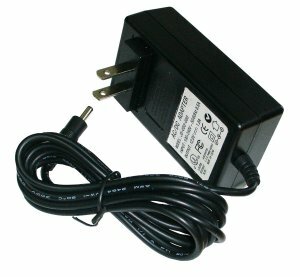 12V DC power input jack for providing additional power for non-self powered 1394 devices. 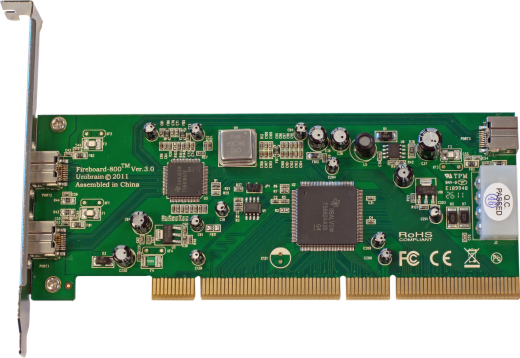 One Firecard800-e™ adapter in bulk packaging. Optional power supply is sold separately.